Immunogen Antibody produced in rabbits immunized with a synthetic peptide corresponding a region of human RG9MTD3. Reinigung Antibody is purified by peptide affinity chromatography method. Hintergrund RG9MTD3 belongs to the RNA methyltransferase trmD family, TRM10 subfamily. It is a probable RNA methyltransferase. Applikations-hinweise RG9MTD3 antibody can be used for detection of RG9MTD3 by ELISA at 1:62500. 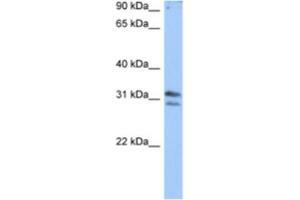 RG9MTD3 antibody can be used for detection of RG9MTD3 by western blot at 0.5 μg/mL, and HRP conjugated secondary antibody should be diluted 1:50,000 - 100,000. Rekonstitution Add 50 ?L of distilled water. 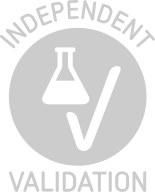 Final antibody concentration is 1 mg/mL. Handhabung As with any antibody avoid repeat freeze-thaw cycles. Informationen zur Lagerung For short periods of storage (days) store at 4 °C. For longer periods of storage, store RG9MTD3 antibody at -20 °C.